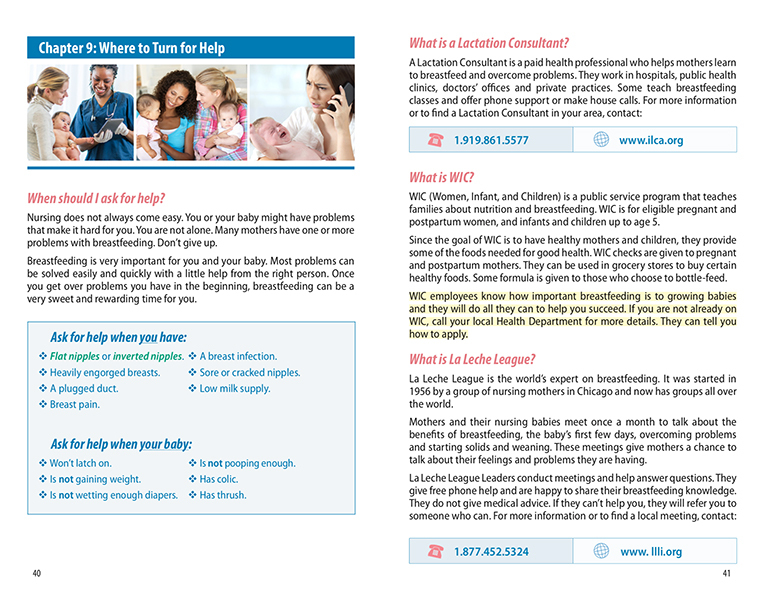 Go to Breastfeeding: You Can Do It! 2019 Edition in English and Spanish only. Find more languages with Getting Started Guides. 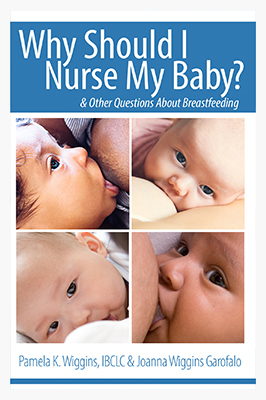 Why Should I Nurse My Baby? has been helping millions of moms and babies for over 25 years. The NEW 2019 edition is even better than ever! 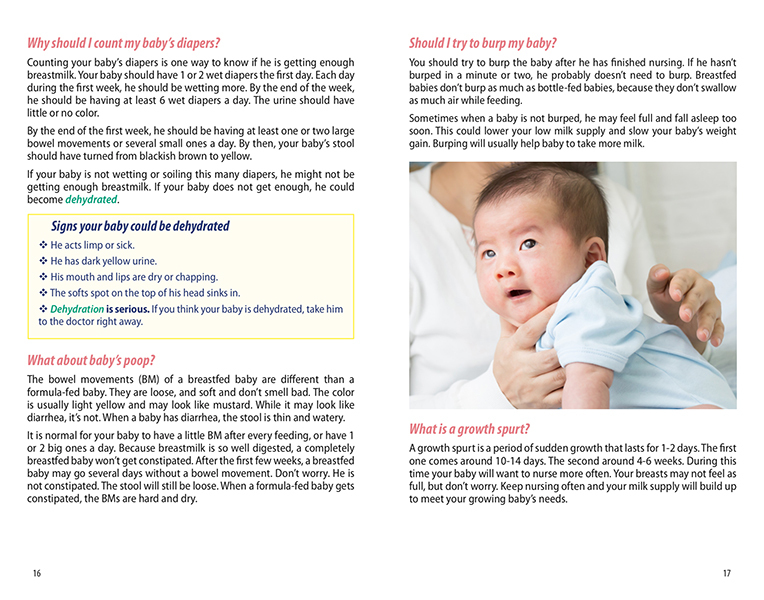 Introducing our NEW 2019 Edition of Why Should I Nurse My Baby?. For over 25 years this book has been helping millions of moms and babies, and now it is better than ever! 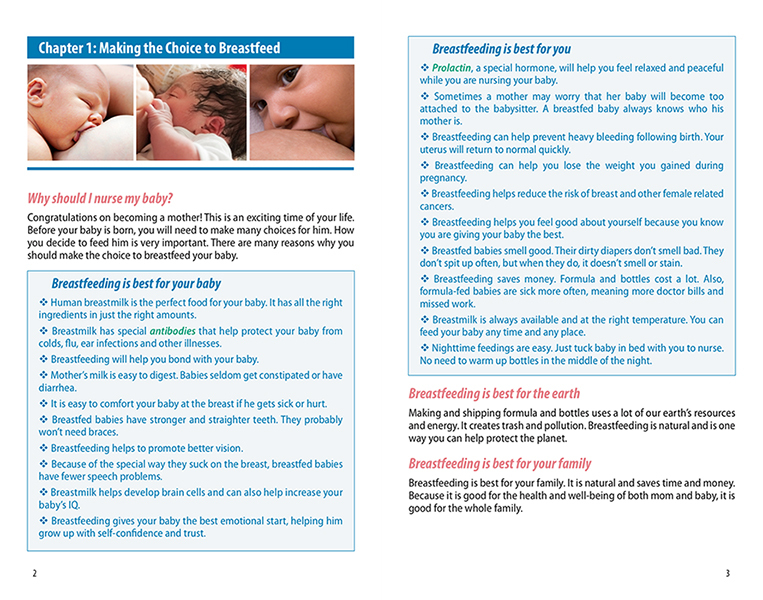 This easy to read book explains why breastfeeding is best and how to be successful. 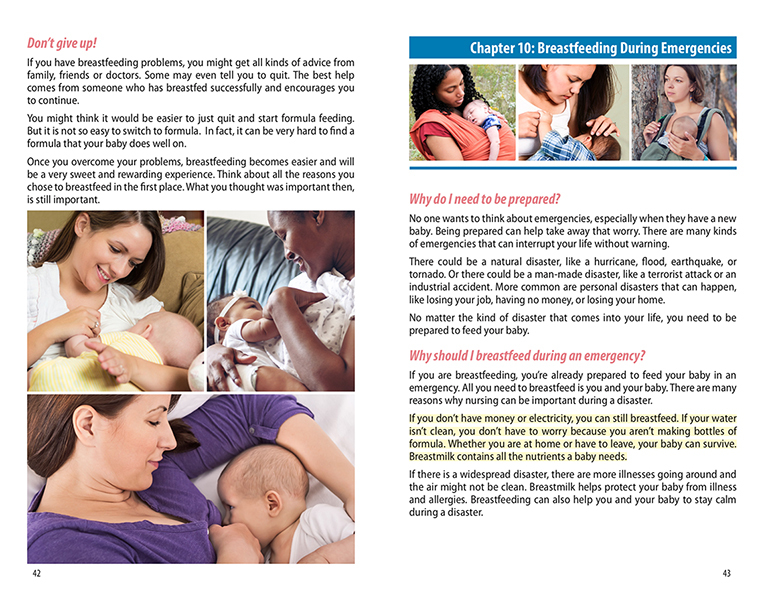 It answers moms’ most common questions and promotes breastfeeding as the norm. • Over 80 color photos featuring diverse families. 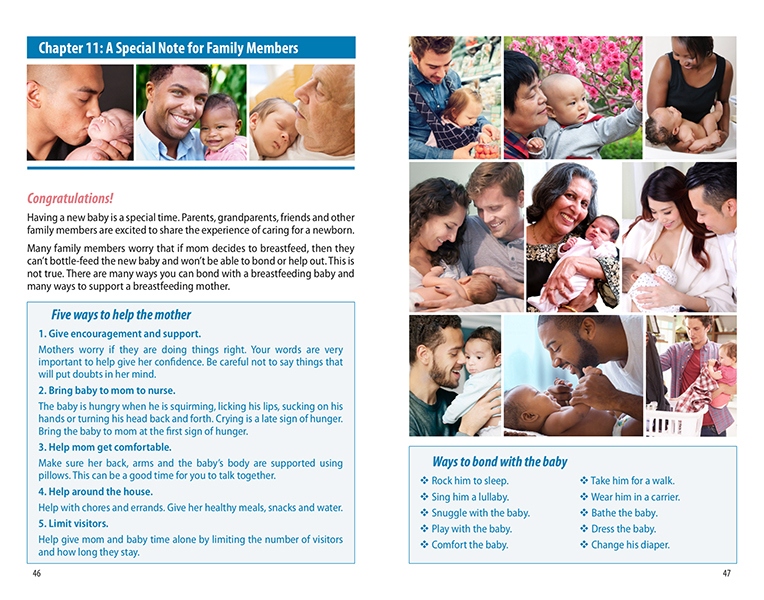 • New CDC breastmilk storage guidelines. • Reorganized design and layout. • Simplified Latch and Position pages. • Designed for today’s modern mother. LOOK INSIDE with sample pages below. Want to see the whole book? Click here to request samples. NEW FLAT PRICE of $1.95 per book. Call for prices on 2500 or more. New flat price applies to 2016 Edition only. See outlet page for other versions. Spread the word to colleagues and new parents! You can download Why Should I Nurse My Baby? directly to your portable device from the listed online retailers. It’s easy to take it along anywhere you go. Ebooks are the 2013 Edition.